When we moved to our new house our daughter inherited a larger room, thus wanting the queen size bed. 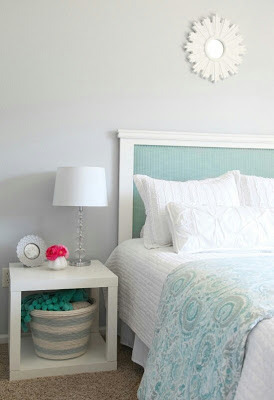 However, the thick tan woven fabric didn't flow with the soft pastels and "cottage" feel we were going for in her room. 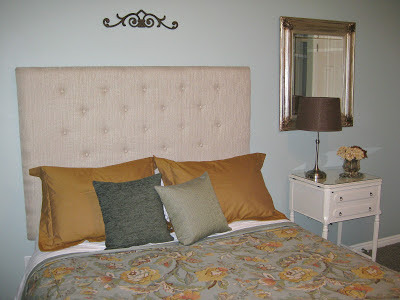 Then I saw this headboard by Amy from The Idea Room that my daughter and I both loved! 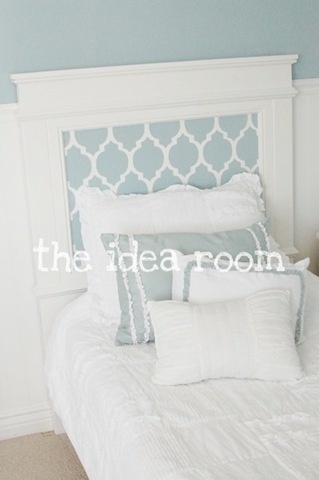 She created the farmhouse look with molding around the headboard, then stenciled the inside. After caulking, puttying, sanding, and painting...it was time to move on to the upholstered middle. 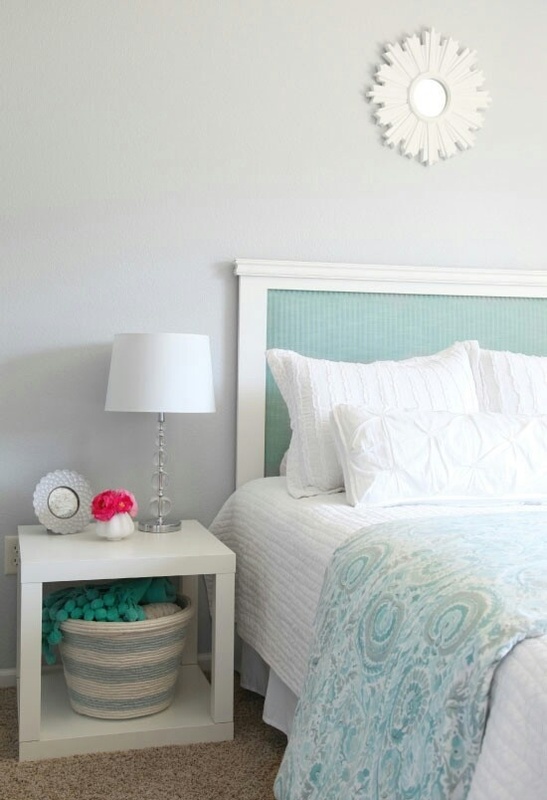 Hanging it with D hooks onto studs behind my daughter's bed, it is now complete!